Thomas Tank Engine has been a favourite with children for many years. We are selling wooden tracks, and trains which may or not be genuine Thomas items but are compatible to them and can be interchanged with each other. 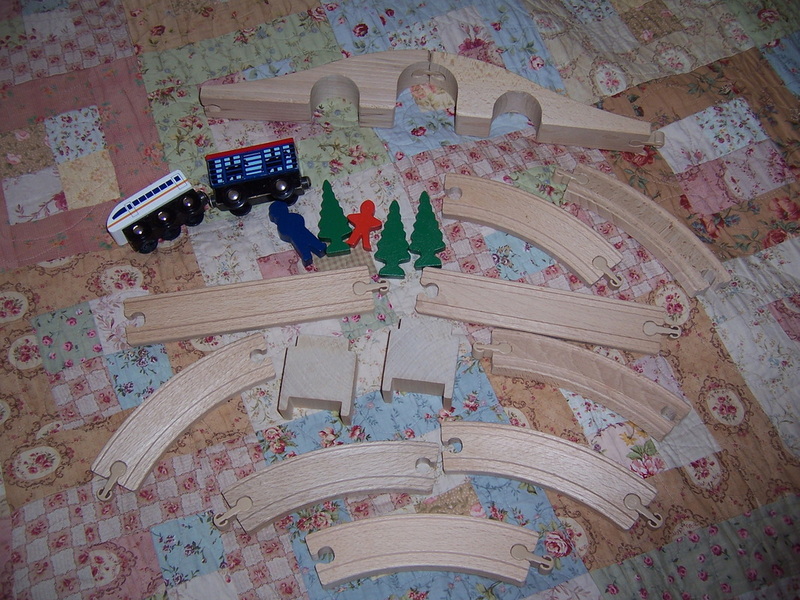 These wooden train track items are compatible to your Thomas Tank Engine sets. Great items to add to your collection of Thomas Tank Engine. 5. Wooden train engine with 3 carriages. The lifting bridge is possibly a bridge to allow a boat to go between the two viaduct parts of the bridge. It has a red knob which at one time would have moved the bridge all the way to the top but it only does it part of the way now. There are also 3 train tracks and two track supports. These items may not be Thomas Tank Engine parts but are compatible to them and will fit Thomas. Great lot of items to add to your collection.